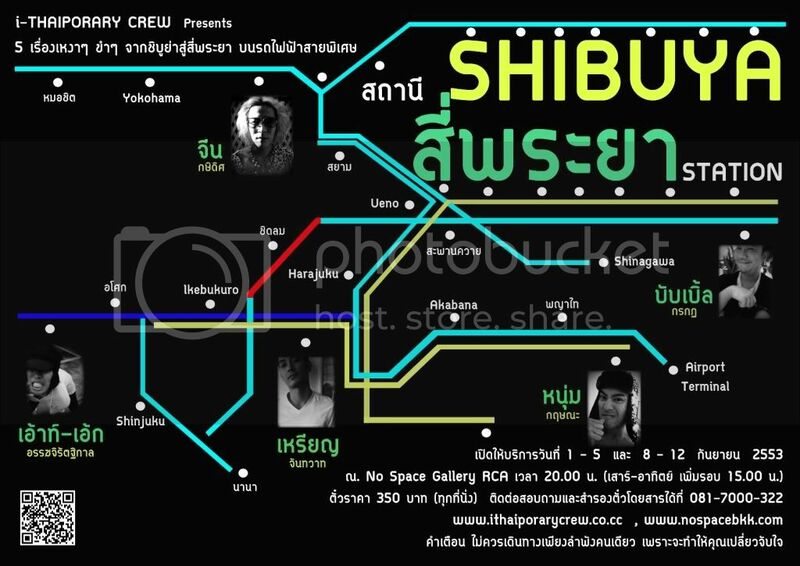 After the success of “Sa-by Sa-by Dance Theatre Therapy”,the last year annual performance,this year,I-Thaiporary crew has prepared for their second show, “Sa Ta Nee Shibuya-Sri Pra Ya Station”,using the similarity within the difference between Thai and Japanese society. “Sa Ta Nee Shibuya-Sri Pra Ya Station” is made from a combination of an all-time favorited Japanese short stories and narrations such as The Grilled Fish , Hajiko , Yutsuya Kaidan etc. We would adapt these with loneliness and a sense of humor and there will be five stories that will be told by Jeen Kasidit , Num Kritsana , Out-Egg Akjiratikan , Rean Jantawad and Bubble Korakot. No more nice words. Warm me with your blood and flesh. A naked man was found dead in a pub. The man who died, his girlfriend, his boyfriend, female manager of the pub, DJ, and the regular customer give testimonies in turn. But they all tell different stories. The truth is in the pub.